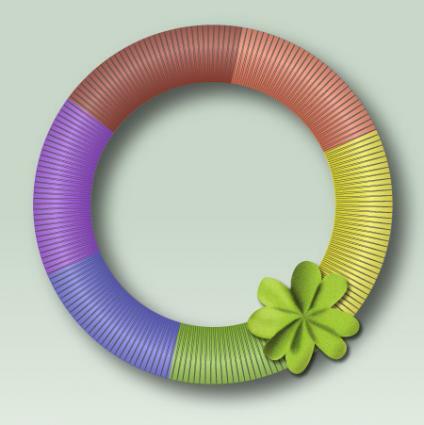 If you love to craft and decorate for the holidays, don't forget about St. Patrick's Day. These easy-to-make, Irish-inspired crafts can be done by kids and adults alike to decorate your home for the season or for a party. Make a simple display of "gold" rocks. Place them in a jar or bucket, or just stack them in a pile on a table for a tasteful hint of gold decor. 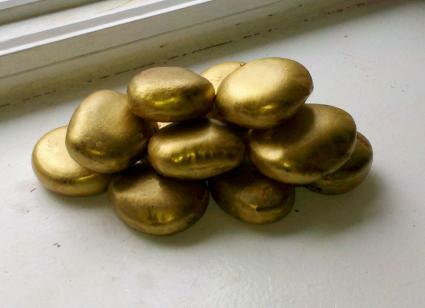 Apply a thin layer of metallic gold paint to one side of the rocks or pods. Leave the rocks, paint side up on a sheet of newspaper to dry. Flip them over and paint the other side. Allow to dry. Apply a second coat of paint until the rocks reach the desired level of color. 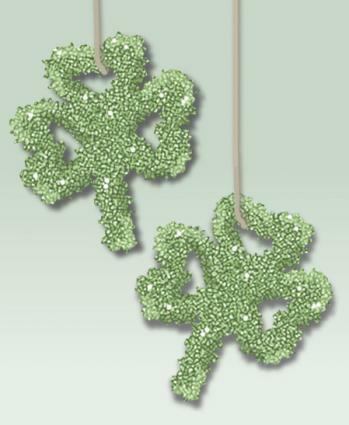 Make this glittering crystal shamrock to hang in a window or from a light fixture. This craft will require adult supervision if kids will be taking part. Twist a pipe cleaner into the shape of a shamrock. Tie a piece of string onto one end. Tie the other end of the string to the center of a pencil or stick. Fill a mason jar with approximately 3 cups of boiling water and 1/2 cup of borax. Add food coloring if desired to help color the crystals green. Place the pencil or stick across the mouth of the mason jar so the shamrock is submerged inside. Allow the jar to sit undisturbed for 24 hours. Pull the shamrock from the jar; the borax will have formed crystals over the pipe cleaners. These simple shamrock pins are pulled together with a needle and thread, but no actual sewing is required. Perfect for anyone that can push a needle through felt. Cut the felt into four rectangles approximately one by two inches in size. Hold the rectangles on end lengthwise and trim the tops of each rectangle into a heart shape, but leave the bottom portion square. Thread the needle and tie off the end of the thread. Push the thread through the bottoms the rectangles, one at a time; the thread should go up through one side and down through the other of each rectangle bottom. Pull the thread taut; the felt will bunch up into the shape of a shamrock. 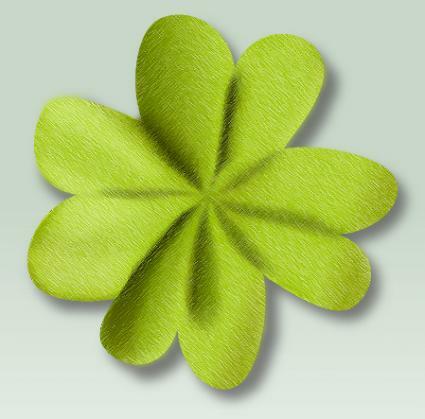 Tie off the thread tightly to help the shamrock keep its shape. Hot glue a pin back to the backside of the shamrock and wear it with pride. Hang this banner from your fireplace mantel, across a window or on a wall to bring a little luck to your home. You can make your banner any size you like by using larger or smaller pieces of burlap. Cut the burlap into five equally sized triangles. Place a letter stencil on each triangle to spell out the word "Lucky." Saturate a brush with white fabric paint and tap or dab the paint onto the burlap through the stencil. Cut a length of twine to the desired length and lay it flat on a table or the floor. Arrange the triangles evenly along the twine. Fold the tops of the triangles over the twine and hot glue them to hold them securely. Greet everyone that comes to your door with this colorful rainbow wreath. Divide the wreath form into six equal segments and mark them with a pencil. Anchor the end of a piece of red yarn to the start of one segment with a small amount of hot glue. Wrap the yarn around the wreath form, pressing each loop of yarn up tightly against the next until you cover the entire section with red yarn. Anchor the other end of the yarn to the back of the form with hot glue. Repeat in the next segment with the orange yarn. Continue filling in each section using yellow, green, blue, and finally purple to finish the rainbow. If you desire, anchor a large shamrock or some gold coins to the bottom right of the wreath to accent. These simple crafts are so easy to make, you may find yourself making multiples of each. Start crafting today and have your house ready in time for St. Patrick's Day.